Photo: Nagorik Oikya convener Mahmudur Rahman Manna speaks at a programme at its Old Paltan office. 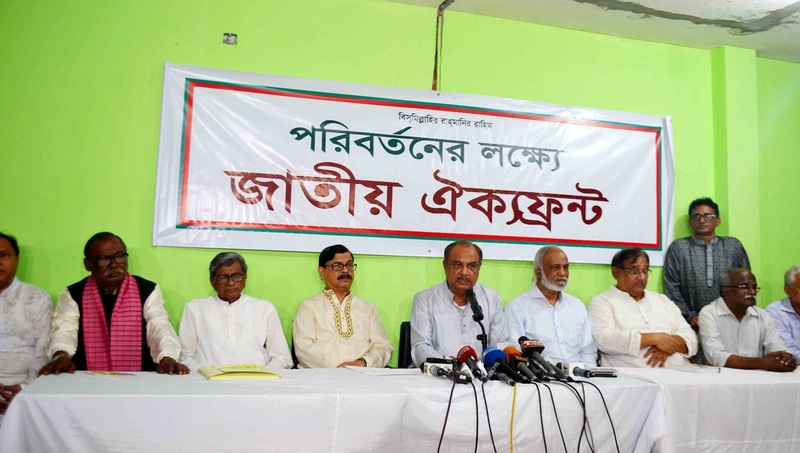 Dhaka, Mar 22 : Jatiya Oikyafront will form a human chain in the city on March 30 next to push for its various demands, including the annulment of gas-tariff hike proposal. The Oikyafront leader said people did not go to cast their votes in the recent upazila polls as they lost their confidence in the election system after ‘vote robbery’ on December 29 in the national election.